Big stock with small blaster: the Modulus Blaster Stock! 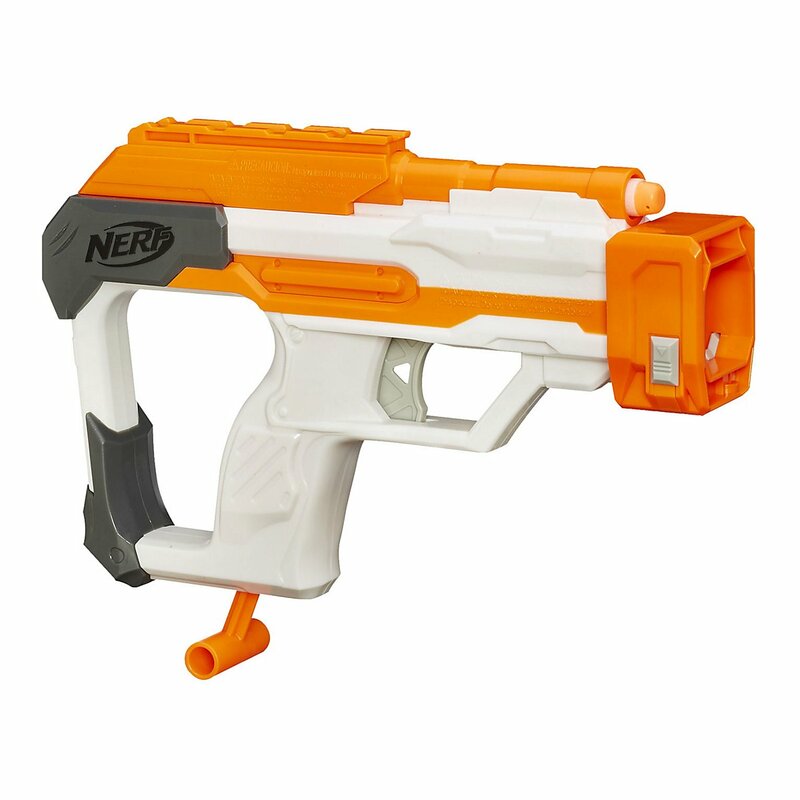 The shoulder stock of the Nerf Modulus Strike & Defend Kit is now available separately. So if you have no need for the shield, you can get the practical buttstock here seperately. The Modulus Blaster Stock is buttstock and spare blaster in one because the buttstock houses a Jolt-like blaster, which is primed via the protruding priming rod. In case there are no darts in the main blaster, you have a quickly reloadable secondary blaster always at hand. But the shoulder stock fulfills its primary function very well, too. Due to the generous length of about 24 cm, it is comfortably usable for larger Blaster fans as well. Of course, the shoulder support not only fits on Modulus blasters, but on all Nerf guns with stock attachment points. Hasbro's plain packaging makes it possible to offer this and other Nerf accessories at low prices because compared to big colorful cardboard boxes this packaging is more cost-effective. In addition, the packaging is also more environmentally friendly: so you can shop with a good conscience!